Arrival at Jaipur Railway station meet and Greet by office staff then drive to hotel check in after an hour or two hour drive for local sight seen of Jaipur for half day visit the Hawa Mahal, Govind Dev ji temple, Albert hall, Birla temple over night at hotel. 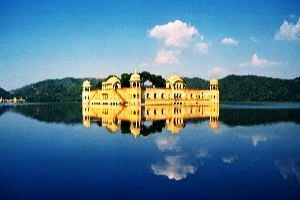 After Breakfast drive for local sight seen of Jaipur visit the Amber Fort, Jal Mahal, City Palacea, Jantar-Mantar, Then drive for Pushkar ji only 150 km it will take only 3 to 4 hour to reach there check in at hotel relax an hour then drive to seen Ajmer Sharif Darga and back to hotel Over night at hotel. 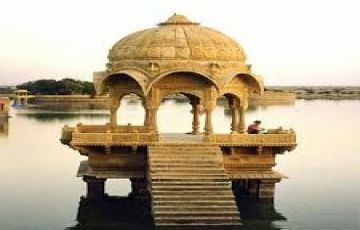 After Breakfast drive for Pushkar only 25 km it will next next 1 hour to reach there visit the Holy lake on Pushkar and Bhrama Temple, then drive to Udaipur via Chittorgarh fort check in at hotel relax at hotel Over night at hotel. 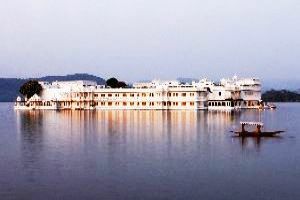 After breakfast drive for Udaipur sight seen visit the Jagdish temple, City Palaces, Moti Magri, Shaliyo ki Badi, and enjoy boat ride at Fathsagar Lake evening enjoy sunset view from hills over night at hotel. 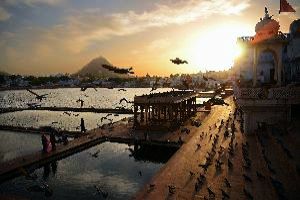 After breakfast drive for Mt abu sight seen visit the Sunrise Point, Guru Shikar, Lover Point and then drive for Jodhpur only 300 km it will take next 5 to 6 hour to reach there check in at hotel evening at hotel over night at hotel. 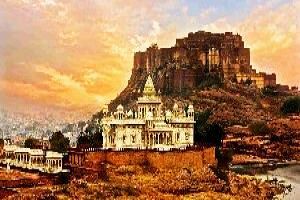 After Breakfast drive for Jodhpur local sight seen of Jodhpur visit the Mehrangarh fort, Umaid Palaces, and Rock Garden evening, visit the Sadar or Clock tower, Jaswant Thada and Mandor Garden over night at hotel. After breakfast drive for Jaisalment only 350 km it will take next 6 to 7 hour reach at Sam the Desert Point of Jaisalmer pure desert where we have arranged your desert night first enjoy the camel ride at SAM SAND DUNE then back to tents enjoy to evening gala programs like Rajasthan folk dance and music with dinner at tents over night at tents . After breakfast drive for Jaisalmer sight seen visit the Salim ji ki haveli, Nathmal ki haveli, Patwa ki haveli, Fort of Jaisalmer then drive for Bikaner only 300 km it will take 5 to 6 hour then check in at hotel relax and over night at hotel. 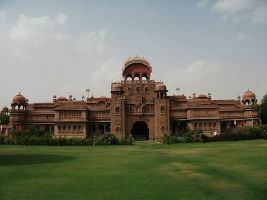 After Breakfast visit the Janagarh fort, Laxmi palaces and Govt Museums then drive either to Jaipur for flight or take your train from Bikaner itself for home. Very Good. 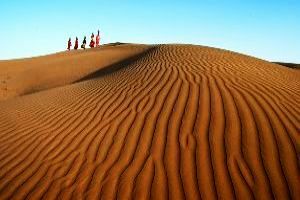 Jaipur Royal Desert Tours made our dream come true. It was a very pleasant travelling experience & a memorable tour.